This tutorial will teach you how to build an About Me app using Interface Builder and Autolayout. Before we start building our app, though, let’s talk about Autolayout. When the iPhone first came out (over ten years ago! ), there was only one screen size. Back then, it was ok to specify everything on screen in terms of pixels. We could set a view to be at (100, 300) with size (200, 200) and it would always look the same, no matter what phone it ran on. This isn’t true anymore. We have 4 different iPhone sizes and 3 different iPad sizes. It would be a nightmare to manually specify pixels values for every device. an origin (x, y) and a size (width, height). Together, these two properties constitute the view’s frame. It sounds obvious, but determining those frames can be difficult. Pixels values explicitly define a view’s frame. 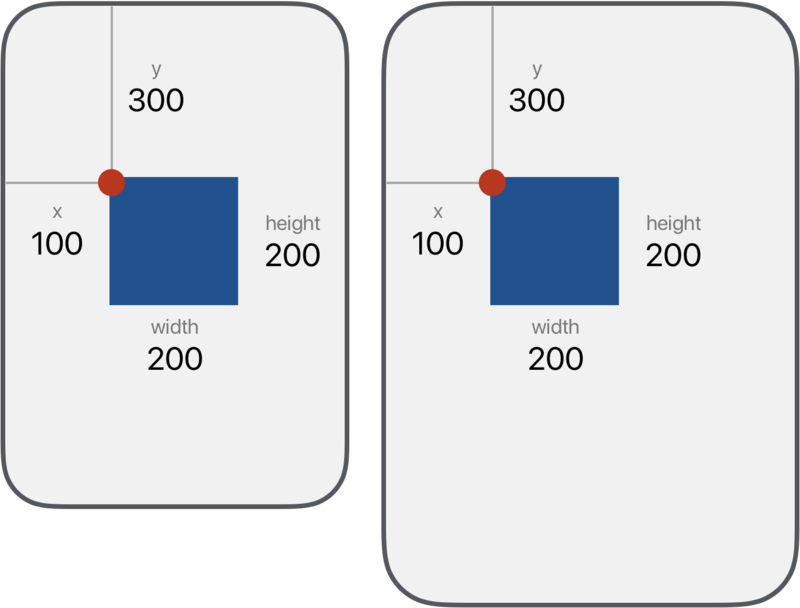 In contrast, Autolayout uses constraints to infer a view’s frame from a set of relationships. Constraints are the bread and butter of Autolayout. Constraints are relationships between two views. 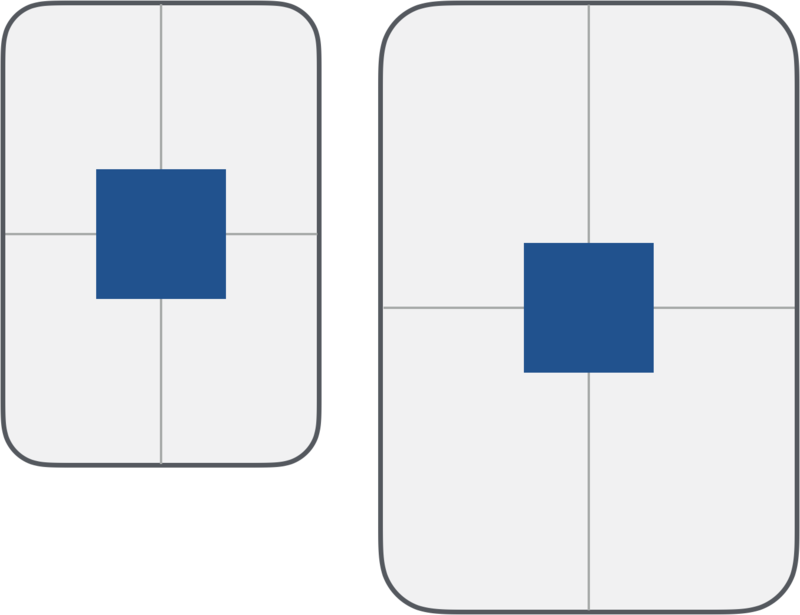 In English, typical constraints would include things like “the top of this view is 10 pixels from the bottom of this view” and “this view is centered inside its superview”. 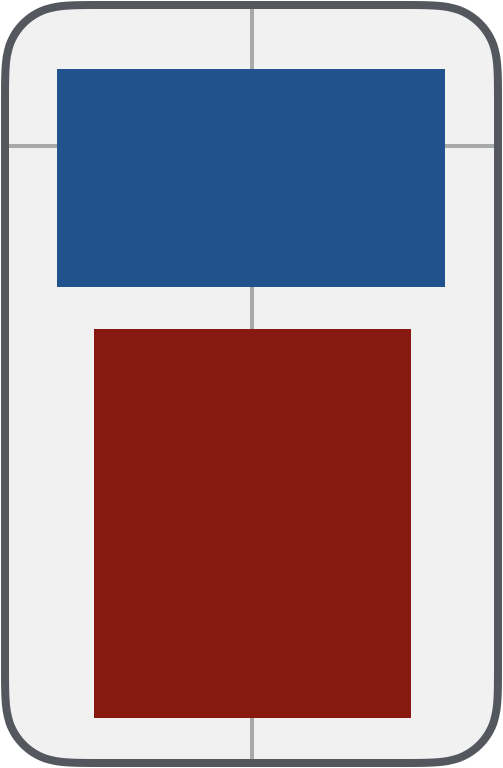 With these constraints, the rectangle stays centered as the screen gets larger. We can also constrain views relative to eachtother. 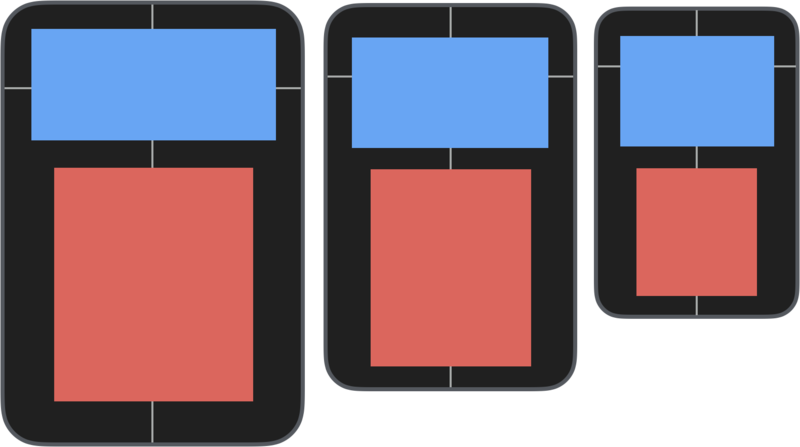 This is what makes Autolayout useful for complex app layouts. Notably, these constraints never specify how tall red should be. Based on this relationships, though, it’s easy to infer how tall the view should be. This is exactly what Autolayout does. With a basic understanding of Autolayout, we can start working on our About Me app.